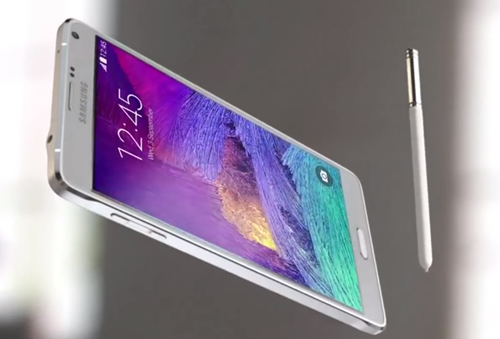 Samsung prepares to announce its top smartphone - Samsung Galaxy Note 7 on August 2nd. Based on previous reports, Galaxy Note 7 is expected to come with a 5.7in curved Quad-HD screen, and be powered by either Qualcomm's latest Snapdragon 821 processor or Samsung's own Exynos octa-core processor and as much as 6GB of RAM and 128GB of storage. For those people who plan to play local video or movies on Galaxy Note 7, one of their big concern is the media compatibility of this new smartphone. So let's first at a glance at Samsung Galaxy Note 7 supported file formats. You can play above listed video and audio formats with Galaxy Note 7 built-in video player app with no problem. There are many free video players for Android with enhanced media compatibility which can be installed on Galaxy Note 7, however, all these media player apps will wear and tear a lot of battery power and physical space on your Galaxy Note 7. In addition, you will inevtably encounter bugs on issues when using them on some devcies. Fortunately, you can also fix Galaxy Note 7 file formats playback issues with a powerful media conversion tool. 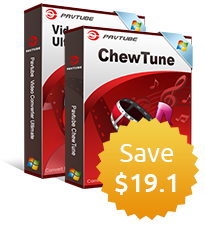 Here, we highly recommend you to download Pavtube Video Converter Ultimate for Windows/Mac (best Video Converter Ultimate Review), with this all-in-one media solution, you can comprehensively rip commercial Blu-ray/DVD disc, digital file formats with the resolution of 4K/2K/HD/SD in virtually any file formats to Galaxy Note 7 playable formats and codecs listed above. Adjust output profile parameters: To get the best video playback settings for Galaxy Note 7, you can flexibly adjust the output profile parameters such as video codec, bit rate, frame rate, resolution or audio codec, sample rate, bit rate or channels to let them fix with Galaxy Note 7. Save physical space on Galaxy Note 7: Don't have enough space for storing too many high definition or even 4K video on Note 7, you can trim or cut video to reduce video file length without quality loss, split large video into small ones by file size, count or length, compress 4K video to 1080p or 1080p to 720p, lower video bit rate 20% - 50% or frame rate to 15 or 10 fps to get small size video. How to Convert Unsupported Video for Playing on Samsung Galaxy Note 7? Tap on the "Format" bar, from its drop-down list, choose Samsung Galaxy Note 7 best favorable MP4 as output file format. 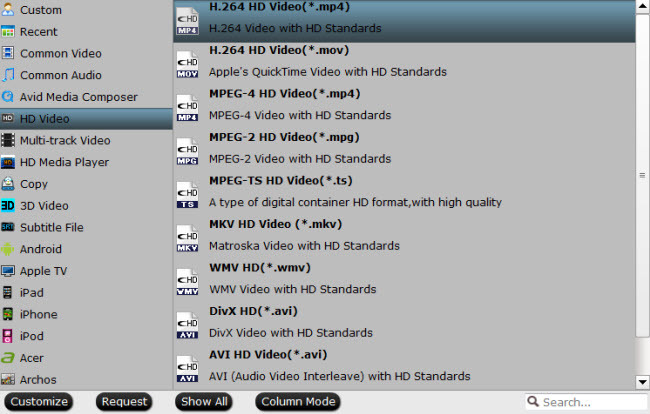 To achieve a high resolution video playback effect, it is idea for you to choose to output "H.264 HD Video(*.mp4)" under "HD Video" main category menu. Step 3: Reduce file size for Galaxy Note 7. 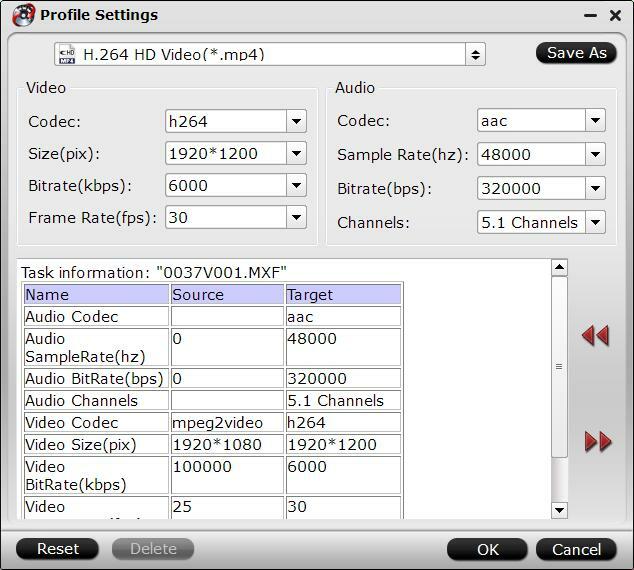 Adjust output file size, bit rate or frame rate: Open "Profile Settings" window, here you can reduce video file size by adjusting output file resolution or lower video bit rate and frame rate to small values. 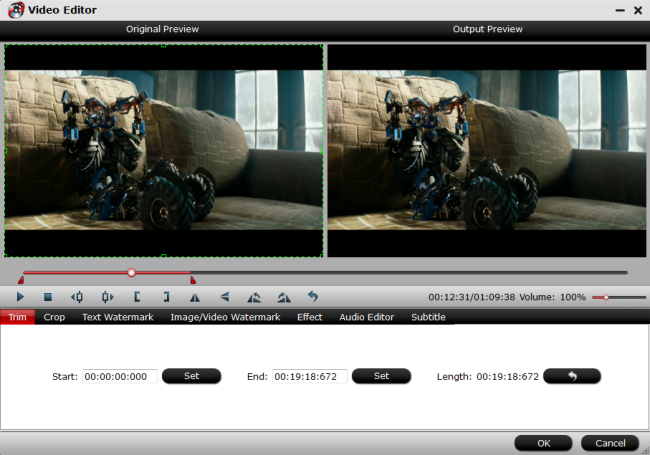 Trim video file size: Click "Video Editor" icon on the main interface to open video editing window, switch to "Trim" tab, drag the slider bars to set the start time and end time to select only your wanted parts to be converted. 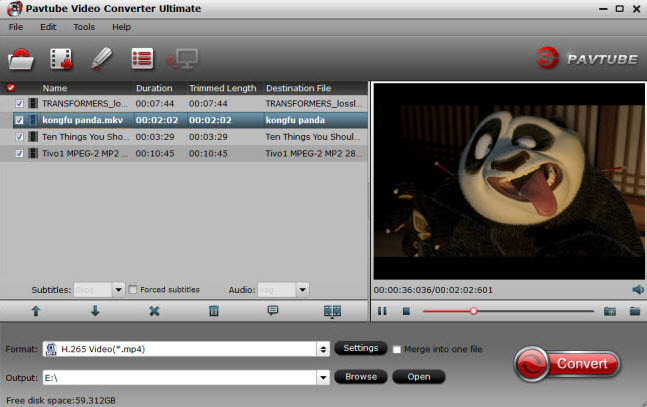 Step 4: Begin video conversion process. After all settings is completed, hit the the "Convert" button to start incompatible video to Galaxy Note 7 conversion process. When the conversion is completed, you will have no problem to transfer music video to Galaxy Note 7.